To use this, click a symbol from the palette on the right and then click where you want that symbol to be placed. To erase a symbol, left click on that spot. 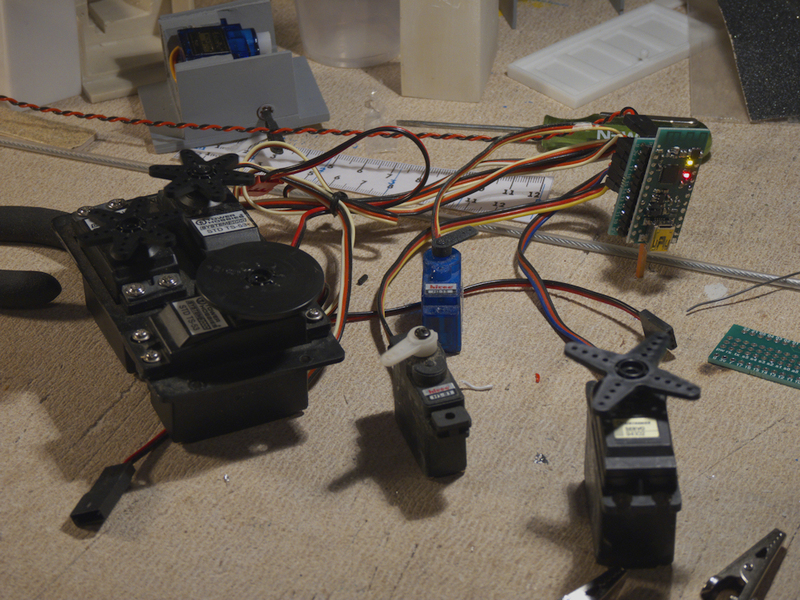 Since this is meant to be a control surface for a real time web implementation, the ‘wixel’ button at the top is used to set the number of the slave widget (0-63) and the r/c servo that widget controls (0-5). Note this is not implemented completely in this demo, however I will be using the tornado code base I’ve posted in my other posts here, realtime control of servos, see the side bar for a link to that post. FINALLY, the power returns and I have a chance to test my breakouts! First test is great. I have the Raspberry Pi driving the master Wixel via USB. 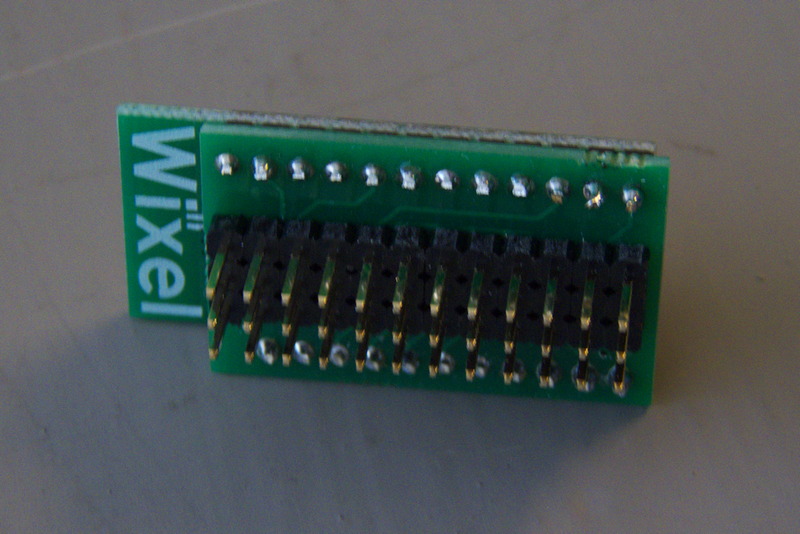 This slave Wixel, soldered into my breakout board, sits on the other side of my shop. A 5v wall wart provides the power. 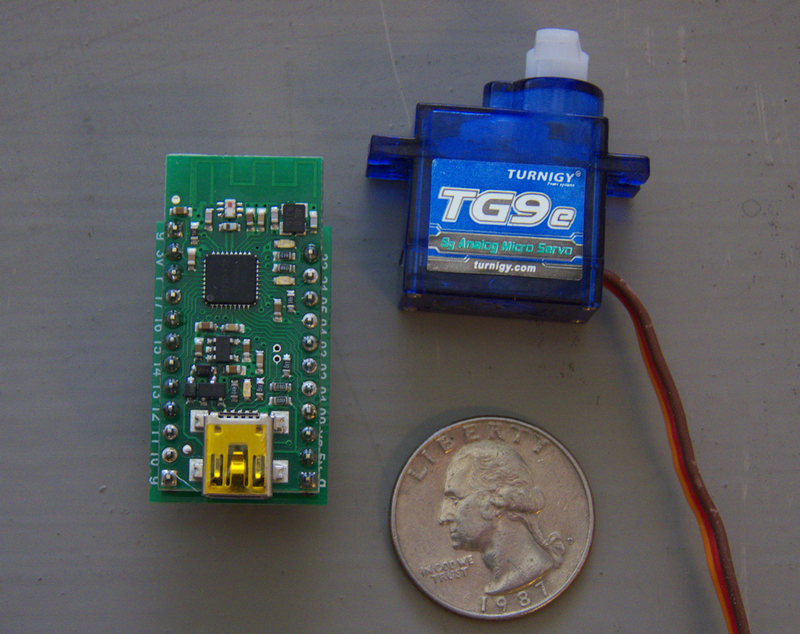 This is a nice mix of micro servos, minis and three standards. Works great! In case you have not followed all my posts, what I have here is a master wixel plugged into the Raspberry Pi. Using the built in packet addressing mode of the TI processor (check out the Data Sheet), it sends servo commands to each slave in a round robin sort of protocol. Each slave can control up to 6 servos and return 3 analog inputs to the master. I’m getting a really good update rate of about 4ms per slave. Once started, it just keeps running, the Raspberry Pi, via the USB to the master, just has to write a servo value into a table and on the next turn for that slave, it’s updated. This frees the Pi from any work at all in maintaining the network, it’s all auto-magic. Here are some more pics of the widget. Here is a LINK to a previous post about the breakout boards. And ANOTHER that has some s/w details. Note, I have NOT released the internal code apps for the Wixels yet, I’m not sure if I will or not, depends on the results of my next project. Work progresses on the control interface. After fooling a bit with an Android native app, I decided that was way too overkill. So here is the same idea implemented in HTML5. It will run on pretty much anything, or I hope it will as it’s browser based. 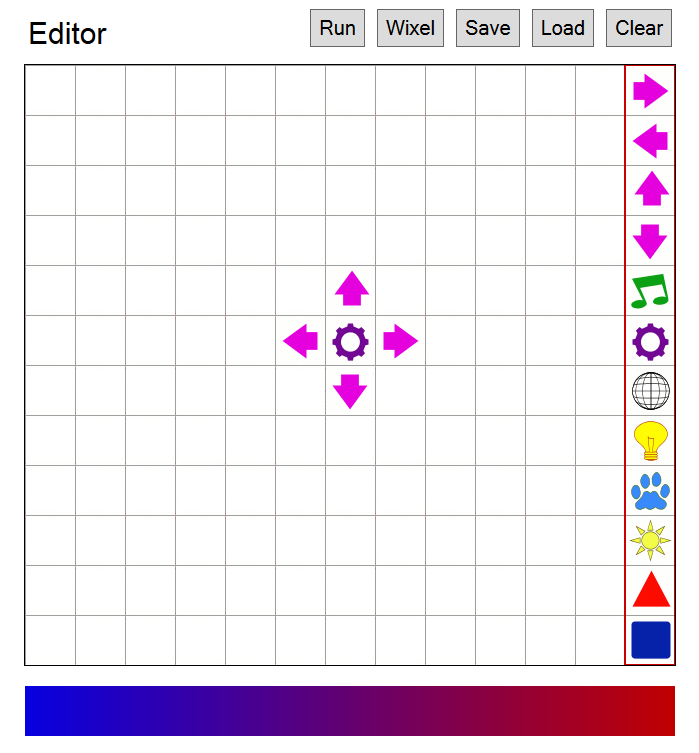 The workflow is that you click a symbol, then click where you want it on the grid. This allows you to build a route that resembles the control for any railroad layout. The right mouse button clears a symbol from the map. It still needs a load and save option and finally, I will need a run module page that will load this file and allow you to control vs editing. The path is a web page load from the RPi, with tornado passing down data to the master Wixel. From there the master will communicate with all the respective slaves over wireless, allowing me to touch a switch icon on the tablet and have the servo at the far end of the chain move the turnout. 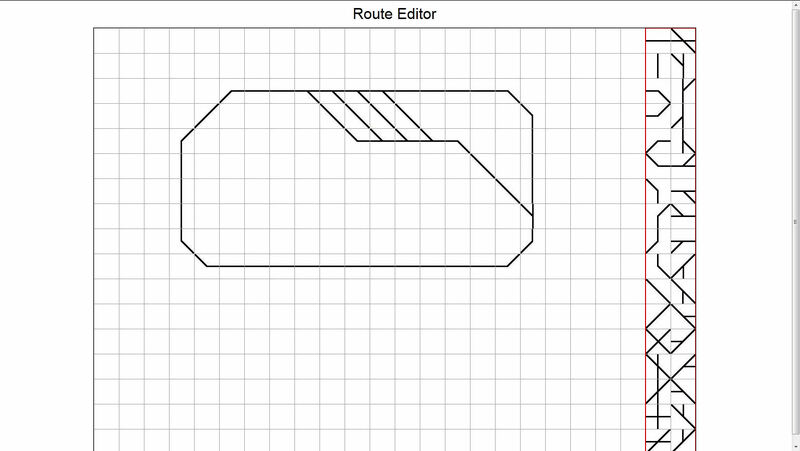 The HTML5 logic will then redraw the route in color to indicate where the train is going to go. That’s the plan anyhow. There are lots of possibilities with this protocol model, anything that needs R/C servos controlled over 2.4ghz wireless from the Raspberry Pi. Or any master for that matter. I’ve already tested the basic code on the RPi via lighttp to my Android tablet and it works great. More logic to put in but the idea here is to enable the editing and control on any device, laptop, desktop or tablet. So far I’m very happy with this project and I’m getting close to completion. Later I’d like to actually track the trains with RFID (or something) and animate that somehow on the tablet. However, that is down the road a bit, I’m going to limit my scope here on this one so I can finish it up. If you have been following my posts here you know I have been working on a master/slave set of apps for the Pololu Wixel module, with my specific thing being large scale garden railroads. But I think this will work for lots of applications so I’m going to try to distribute a kit. Anyhow, what this system entails is a master Wixel connected to a Raspberry Pi (although any host would work) using USB. The master can control and monitor up to 64 wireless slaves. 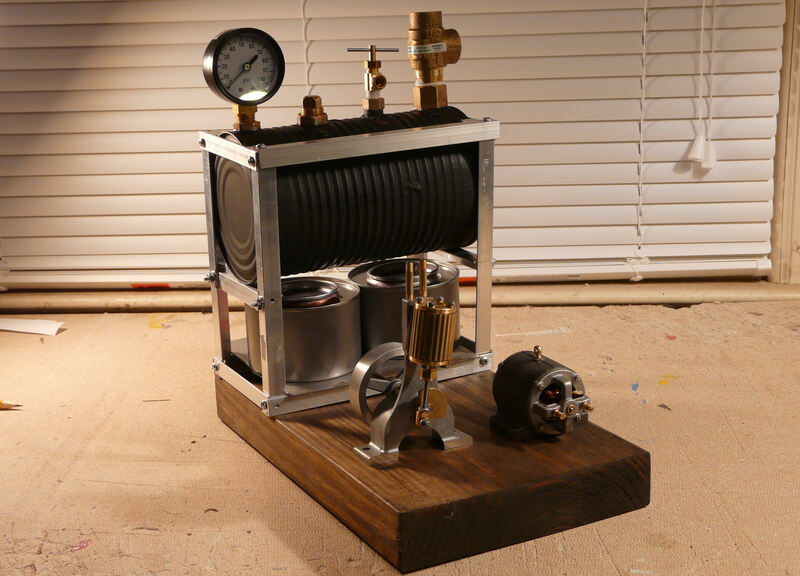 Each slave can control 6 servos and send 3 analog inputs back to the master. I have had the servo outputs working on multiple slaves for some time now, today I got the analog inputs to flow back to the master and the Python Class now reads them correctly. So the Software layer is now complete and transparent. It just runs. I’ve built a bunch of prototypes and the soldering is quite a pain, so I’ve designed a PCB that makes all of this easy. Solder in the wixel and a set of servo header pins, connect power and servos and it works. A complete slave. So, I’m contemplating a run of boards, in small quantities they are about $5 a board. While the software may change over time, these will always be the standard physical platform for servo slaves. If anyone is interested in all of this and getting a board and the current software, email me, I’ll order extra boards. datapacket.append(chr(d0)) 		# note the convolutions here? Got it all working today, great fun. 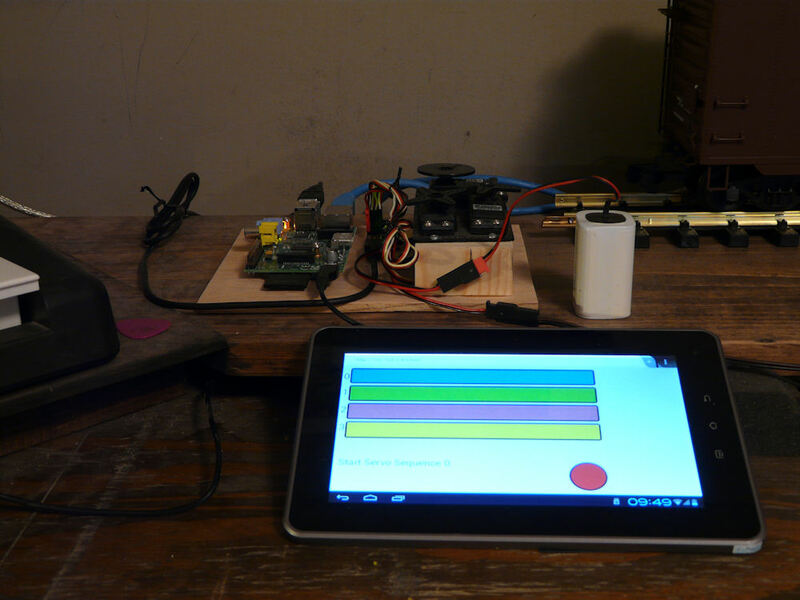 Sample code and some info to use the Raspberry Pi as a tornado web server, running html5 on an android tablet to control standard R/C servos with the Pololu Micro Maestro Servo Controller. 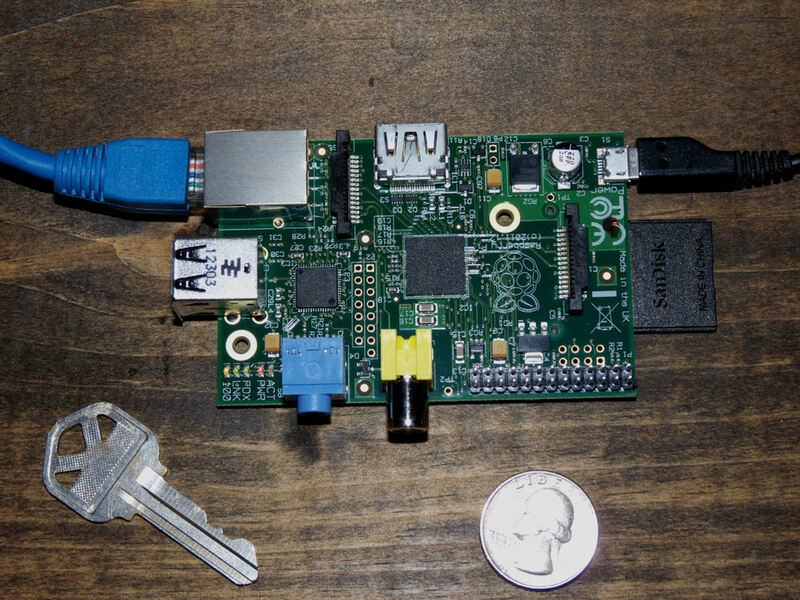 I don’t know, it makes me a little wonky to see this tiny little SBC do a web server with PHP. I suppose I could put mySQL on it too. Next is control some h/w via a web interface. I hate the fact that I have to tie up one of my monitors and both of the Rpi’s USB ports for a keyboard and mouse, so I wanted to remote shell into it. While it’s not enabled out of the box, it turns out it’s quite easy to do. First you have to edit the ethernet interfaces config file. The Pi only has one ethernet port so it’s very simple. Now edit the name servers, add the google ones, I don’t really know if you need these on a local net but it works for me and they are probably very fast so what the hell, right? Keep your original address, it should be your gateway. Enable SSH on startup so you can log into the Pi with Putty. First you will need to generate the certificate, I just hit enter for all the choices since I’m not really all that concerned with security. Now start up the ssh service and set it so it always starts at boot up. Now shutdown everything, cycle power and reboot. On your PC, if you don’t already have it, install putty, then run it. Put in the static address of the Pi, in this case it’s 192.168.2.200 and connect. Enter the normal user and password and you are in. You can also now use this with xlaunch to get to the Rpi’s xwindow interface. Although I don’t think I’ll have much use for that personally, it is kinda neat so I’ll post another tutorial for that soon.